Each piece is conceived to facilitate the natural flow of light. This is achieved in particular through precisely positioned waves and edges that gather and reflect the light so as to create the illusion of light on water. The Luminous Reflections collection for Swarovski Crystal Palace comprises the three models Luminous Bough, Lustrous Aura and Radiant Light. 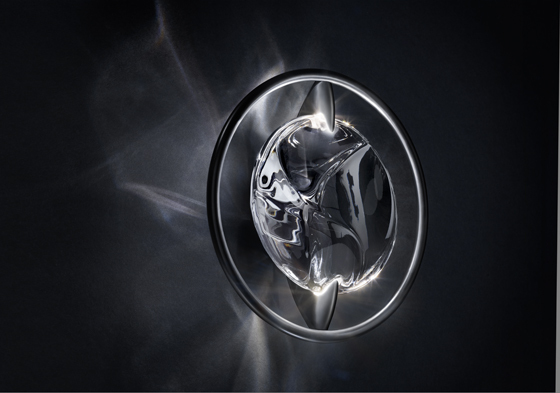 All three designs offer a fascinating vision created by the design aesthetic and the natural reaction of the light when it strikes the crystal. 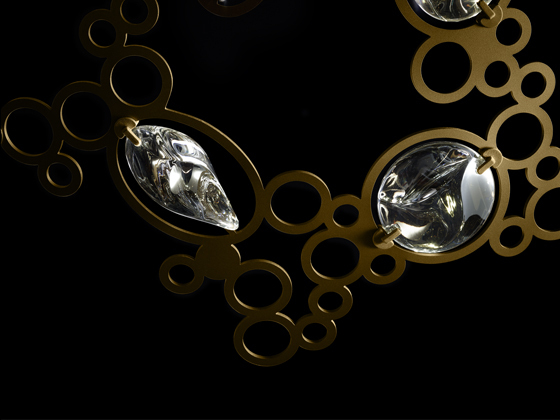 The crystal components used for the Luminous Reflections collection are practically tailor-made. 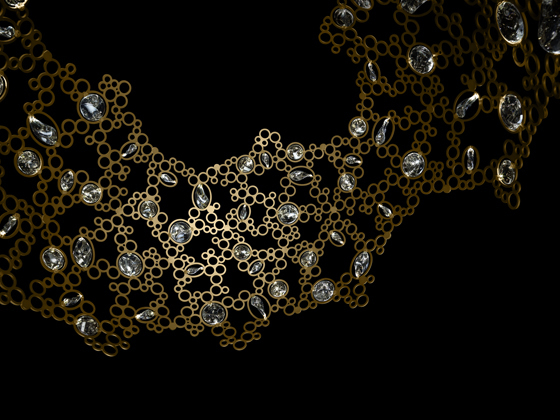 Boontje collaborated with the employees from product development at the company headquarters in Wattens, Tyrol, to create the basic elements, from the smooth to the wavy, into which he poured all the knowledge about crystal and its effects in light that he had acquired in the company’s archive. The elements Arc, Swirl and Circle rang in a new era in lighting, too. 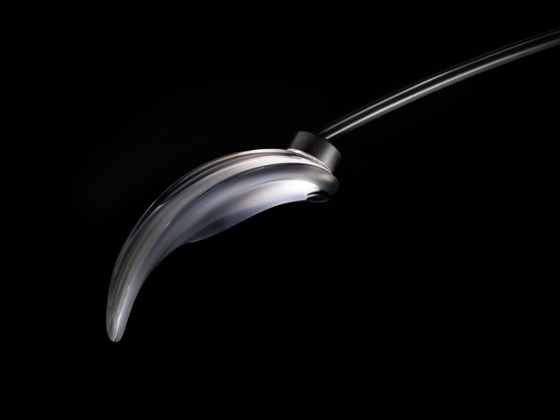 Ranging up to twelve centimetres in size, they feature characteristic curves and flowing, unfaceted surfaces. 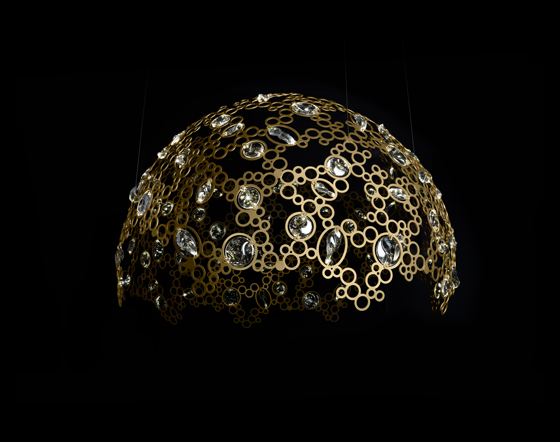 The most impressive piece in the collection is Lustrous Aura, with a diameter of 1.6 metres. Inspired by the headdresses of Mata Hari, the lamp is made up of crystal components worked into a filigree frame of matt gold. 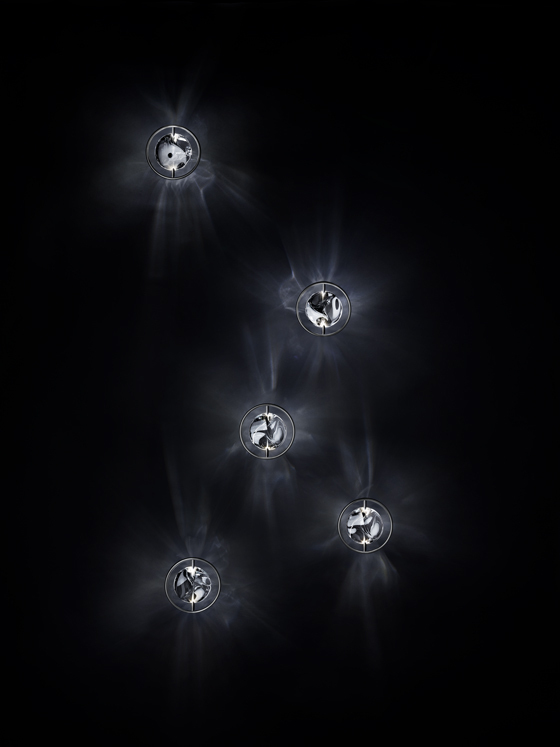 In combination with innovative LED lighting, it produces a breathtaking glamour. Luminous Bough has a very different spatial presence. This new interpretation of the classic chandelier, manufactured in a highly complex process, emits shimmering waves through the room. 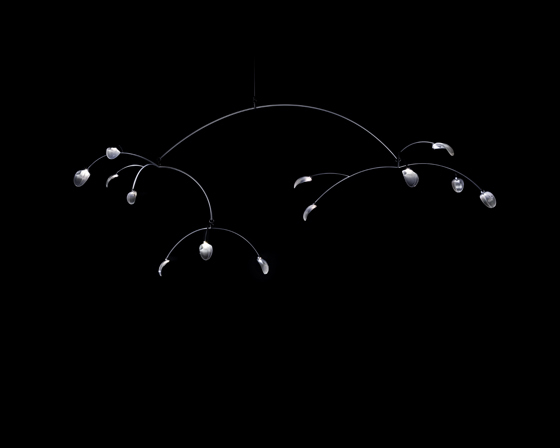 Like a mobile in the form of matt silver branches with delicate, crystal leaves, the lamp radiates a subtle dramatic quality with its neutral white light. The third member of the group, the wall lamp Radiant Light, casts a spell on the viewer through the simplicity of its single unfaceted crystal. It inspires a fascination otherwise reserved for a perfectly set gemstone. 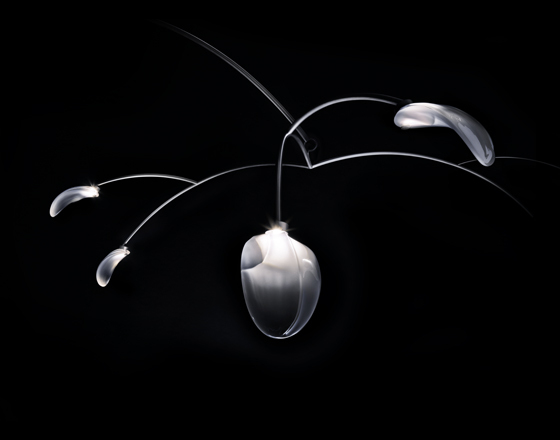 All differences notwithstanding, the three models share the idea of flowing light and maximum precision. Launched under the newly positioned brand Swarovski Crystal Palace, the series casts the crystal chandelier theme in a completely new light. 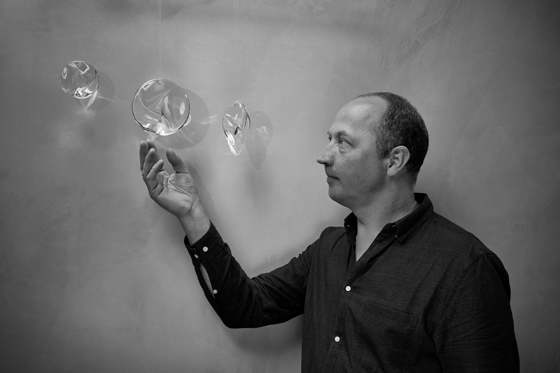 “To create a crystal chandelier, one has to understand the interplay of light and crystal,” says Tord Boontje, who despite the technical challenges never lost sight of the playful, dream-like character of his designs. “It can illuminate a room with splendour and create an overwhelming sense of enchantment.” Boontje has certainly attained this goal.